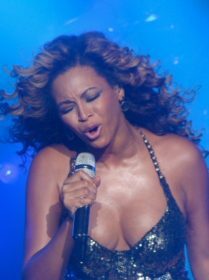 “Beyonce’s performances, which were supposed to take place in Hayarkon Park in October, will not be happening. Bluestone offices were notified in the last few hours,” the Israeli production company announced. Since her controversial Superbowl performance, during which her back-up dancers wore Black Panther-inspired costumes, the performer has been under fire by civil rights groups for planning to perform two concerts in Tel-aviv, this summer. Performances in Dubai and South Africa were also cancelled, and reasoning was not clear as to whether or not the high profile revocation stemmed from political considerations, or as a result of the pressures of the BDS movement. 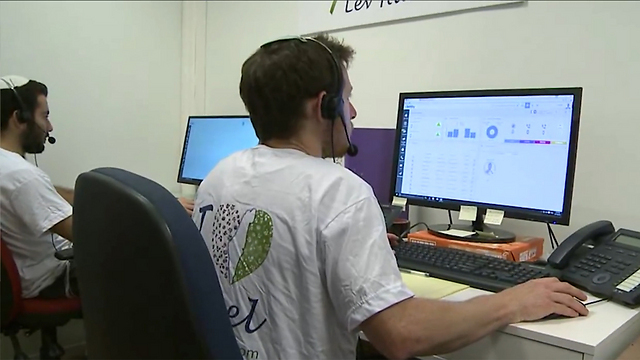 Jerusalem-based BDS watchdog call center takes the fight to anti-Israel activities by providing activists' information reported by civilians to Interior Ministry; group seeks deportation of activsts or barring their entry into Israel. 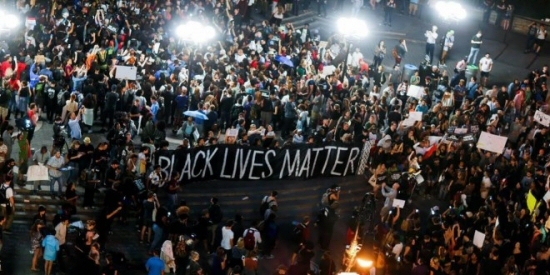 Black Lives Matter and The Movement for Black Lives, a coalition of more than 50 organizations representing African Americans, published a comprehensive platform, Friday of last week, which addresses the systemic racism, violence, oppression and discrimination faced by black communities in the United States. Along with calling for ‘an end to the war against black people, the policy platform has unambiguously declared its solidarity with the Palestinian people, as it calls Israel an ‘apartheid state’ and endorses Boycott, Divestment and Sanctions (BDS) of the Israeli state. 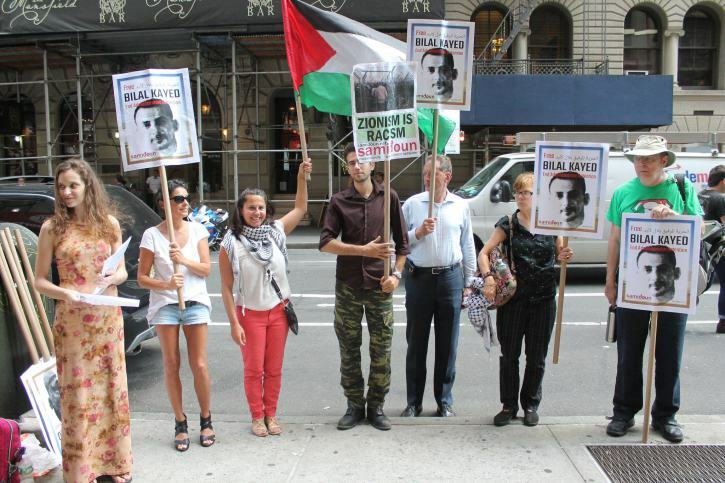 Protesters in New York City rallied outside the Manhattan office of British-Danish security corporation G4S on Friday, 5 August to demand freedom for Bilal Kayed, a Palestinian political prisoner in Israeli jails, on his 53rd day of hunger strike. Samidoun Palestinian Prisoner Solidarity Network gathered outside the G4S office, carrying Palestinian flags and signs urging freedom for Kayed, on hunger strike since 15 June demanding his release from imprisonment without charge or trial under administrative detention. He was ordered to administrative detention after the completion of his 14.5-year prison sentence on 13 June. Kayed’s case threatens a dangerous precedent for all Palestinian prisoners completing lengthy sentences, who could suddenly be ordered to indefinitely-renewable administrative detention. He is one of nearly 750 Palestinian prisoners held without charge or trial under administrative detention, and 7,000 total Palestinian prisoners in Israeli jails. Hundreds of Palestinian prisoners are engaged in actions to support Kayed, including over 100 joining an open hunger strike for his freedom. The protest found many enthusiastic and interested passers-by, who received the flyers and literature about Kayed‘s case with interest. Several drivers witnessing the protest on the road also honked their support for Palestine and for Kayed’s freedom. The protest was part of Samidoun’s ongoing actions protesting the security corporation, which contracts with the Israeli Prison Service to provide control rooms, equipment and security systems for Israeli prisons, as well as checkpoints and police training centers. Palestinian political prisoners have urged a global boycott of the corporation, which is also the focus of human rights protests for its involvement in the incarceration and deportation of youth and migrants in the US, UK, Canada, Australia and elsewhere. Divestment from G4S has also been part of the demands of Black activists and prison abolitionists demanding an end to investment in the mass incarceration of Black youth in the United States. Many participants in the protest are also currently participating in #ShutDownCityHallNYC, a protest encampment against NYPD violence and repression against the Black community and other oppressed communities in the city. Joe Catron of Samidoun spoke about the occupation’s demands, including defunding the NYPD, ending so-called “broken windows” policing and payment of reparations to survivors and victims of racist police violence. The movement celebrated a partial victory when Bill Bratton, the police commissioner whose firing was demanded by the movement, announced his abrupt resignation earlier in the week. Catron noted that police and prison abolition rather than reform is a primary focus of the encampment, which emerges from the broad Movement for Black Lives. Noura Khouri, a Palestinian activist in the Bay Area and a member of the national committee of the War Resisters’ League, joined the protest during her visit to New York City. She also emphasized the importance of joint collective struggle to confront policing, imprisomnent and repression. In particular, she highlighted the campaign against Urban Shield, in which Palestinian activists in the Bay Area were deeply involved. The Stop Urban Shield Coalition is a broad coalition of social justice-oriented community organizations who came together to expose Urban Shield, a SWAT training and weapons exposition that brings together police and military units across the US and internationally. The coalition stopped Urban Shield from being hosted in Oakland and is now working to put an end to this militarized gathering altogether. She also highlighted the campaign to cut the Urban Area Security Initiative (UASI), which funds the militarization of local police departments across the country under a “counter-terrorism” pretext, supporting the further surveillance, entrapment and repression against Arab and Muslim communities while intensifying the militarized repression of Black communities and other oppressed communities. Samidoun is organizing with an array of New York City groups for a march and rally in support of Kayed’s strike on Friday, 12 August, as he enters his 60th day of hunger strike. Endorsers of the march include Al-Awda NY, the Committee to Stop FBI Repression, the Free Mumia Abu-Jamal Coalition, the International Action Center, International Concerned Friends and Family of Mumia Abu-Jamal, Jericho Movement, Jews for Palestinian Right of Return, Labor for Palestine, NY4Palestine, NYC Free Peltier and NYC Students for Justice in Palestine. Protesters will gather at the G4S office at 19 W. 44th Street in NYC before a 5:30 march to another G4S office at 370 Lexington Avenue, demanding that Israel release Bilal Kayed, all administrative detainees and all Palestinian political prisoners immediately, and that G4S immediately get out of Palestine. Czech MEP Petr Mach intends to establish the first official intergroup to support West Bank settlements and, inter alia, combat BDS in the European Parliament. 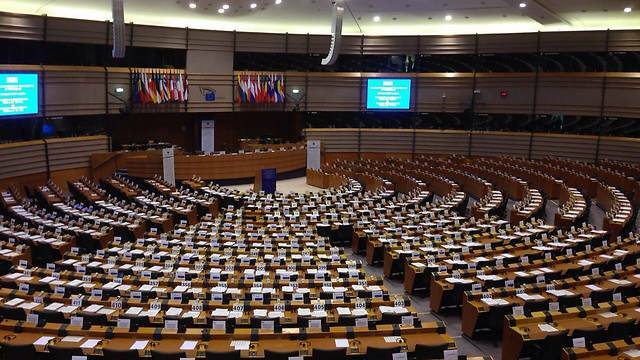 Soon, an official intergroup of friends the West Bank in the European Parliament will come into being for the first time. The intergroup, a form of caucus, will be composed of more than ten members of European Parliament (MEPs) from several countries, headed by Czech MEP Petr Mach (Europe of Freedom and Direct Democracy Group). The parliamentarian met on Wednesday with Samaria Regional Council Chairman Yossi Dagan in Prague to formalize the intergroup's formation. In the past, officials from the regional council have held meetings in the European Parliament, and they have even been partners in organizing a conference there, but there has never been an official intergroup supporting settlements in the West Bank. The "group of friends," as Mach called it, will begin working when the European Parliament returns from its summer recess in September. One of its goals will be to oppose marking products from the West Bank and the BDS movement in general. Over the past three year, the Samaria Regional Council has hosted some 150 parliamentarians from all over the world and some 300 foreign journalists. This is how the connection was made to Mach, who visited the area in one of these group tours. Mach claimed that Czechia has been friendly to Israel since its creation, maintaining that, despite changing governmental positions, the Czech people have always supported the Jewish State.